Wayfarer sunglasses are the order of current fashion scenario, hence this pair from Carrera will be a great pick for you. Its frame has been crafted with care using a superior quality plastic material that makes it light and lends it a nice finish. Besides, it has polycarbonate lenses, which will protect your eyes from the harmful rays of the Sun. 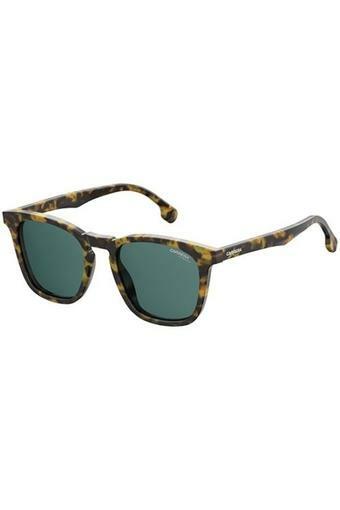 Join the brigade of fashion elites by donning this pair of wayfarer sunglasses. You can club it with a trendy shirt and a pair of jeans to make a style statement.